Did you know about 11.6 million people in the U.S. have different types of disabilities and use different mobility devices? In this era of technology, many wheelchair issues have been brought to ease. It wouldn’t be wrong to say that people with disabilities, who are entirely dependent on a wheelchair, may feel alone and isolated. 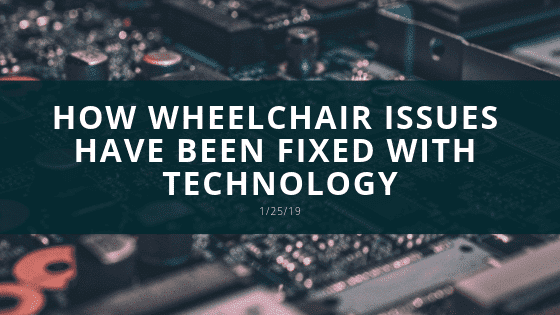 Technology has fixed various issues related to wheelchairs which you may face during your daily routine. Let’s explore below how technology has revamped the old traditional wheelchairs into a moving powerhouse. Technology has produced electric wheelchairs. Ran by an electric motor or a battery, electric wheelchairs work without needing to be manually propelled. Also known as Power wheelchairs, these can be operated easily used with a joystick and a couple of buttons. You can cover long distances without overexerting yourself. While they were known for being large and bulky, today they are much more portable and easily foldable allowing you to transport or adjust them even in small spaces. They are great pressure relievers as well. The tilt and recline functions have been added to them to help you manage pressure and get relief of it. Electric wheelchairs provide you with ease to operate them at different areas such as grass, slopes, and rough surface. So, go out and feel the nature. A Mobility Scooter is a different version of an electric wheelchair that looks like a scooter. It may have two or three wheels and use chargeable batteries to function. You can attach it to a car or a van and these mobility devices have quite good balance. A mobility scooter is the best for those who can walk a few steps, sit and stand by themselves without any support. Technology has helped further accessibility for wheelchair users and continues to do so today. Every day there is another issue that is being solved after research and development. While some may ask what more can be done, always remember that even if it works there is always room got improvement. This entry was posted in Retails, Wheelchair News. Bookmark the permalink.